One of the unique parts of working at Evergreen is our company culture. Frankly, we’ve been emphasizing company culture since before it was a new, cool buzzword. Since our 1996 inception, Evergreen has had a family friendly and family focused atmosphere. We know each other’s spouses and kids by name. We go to each other’s weddings and baby showers. We hangout beyond the confines of our office walls, and we make an effort to provide opportunities to hangout during work hours, too. And we always have. It’s part of what makes us tick. We’re able to have a flexible environment because first and foremost, we understand that we are all professionals. Life happens and want you to be present for it. We empower our employees to be able to get their work completed while still encouraging them to attend their kids’ school plays and sporting events. It’s important that we allow our employees to be professional rockstars at work and at home. We also understand that our industry can be stressful, and it’s important that we take care of our employees to ensure stress is kept at a minimum. We take time for team building and fostering camaraderie in order to help our teams feel supported and encourage them to produce optimum results. Because of this, we choose to have fun opportunities to kick back and enjoy our time together. It’s an investment in our people, and our people, above all, are the most important asset we have. Essentially, we work hard, so we like to have a little fun along the way. We don’t think anyone can argue with that. So how do we socialize with each other? More ways that we can count. 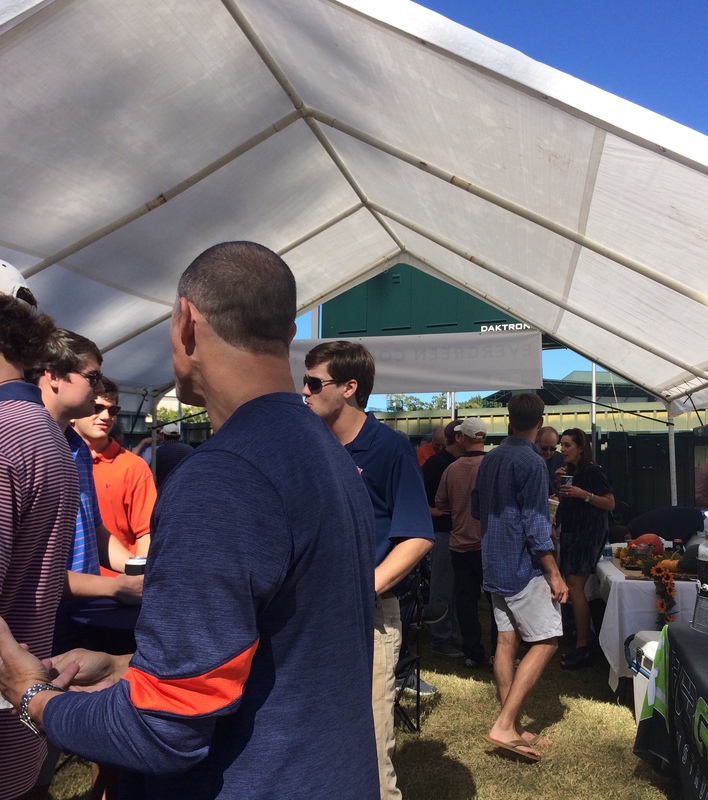 Each fall we have a tailgate at Auburn University. Many of our staff are Auburn alumni, have children who attend Auburn, or are students at Auburn themselves. It’s a neat time to gather with current and potential employees while mingling with faculty and staff. However, the best part of our Auburn tailgates is the chance to meet our employees’ families. The tailgates are multi-generational events, once again touching on our family friendly and family first mentality. 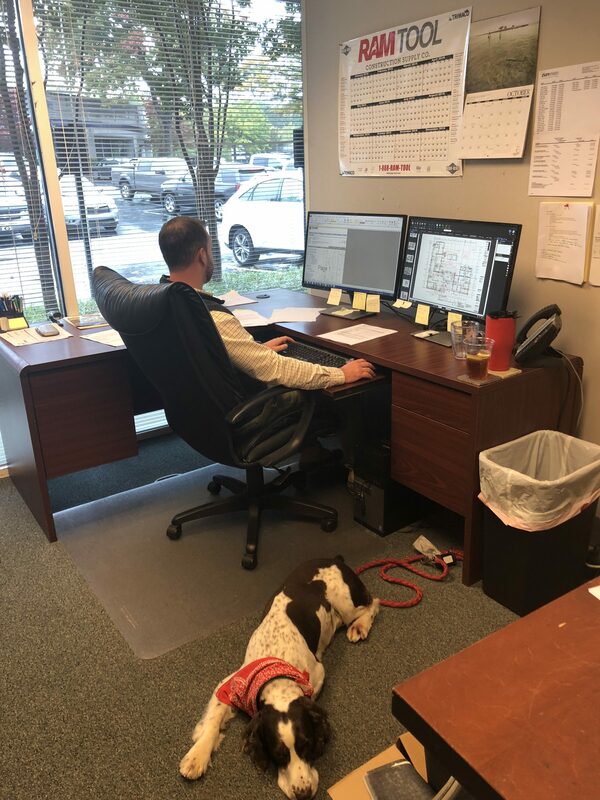 We also recently added a bring your pet to work day. Pets are an important part of our lives, and we thought it would be fun if everyone could meet our four legged family members. Friendsgiving is another new event that we inaugurated this year. We finished work a little early and had a meal together while kicking off our holiday season. 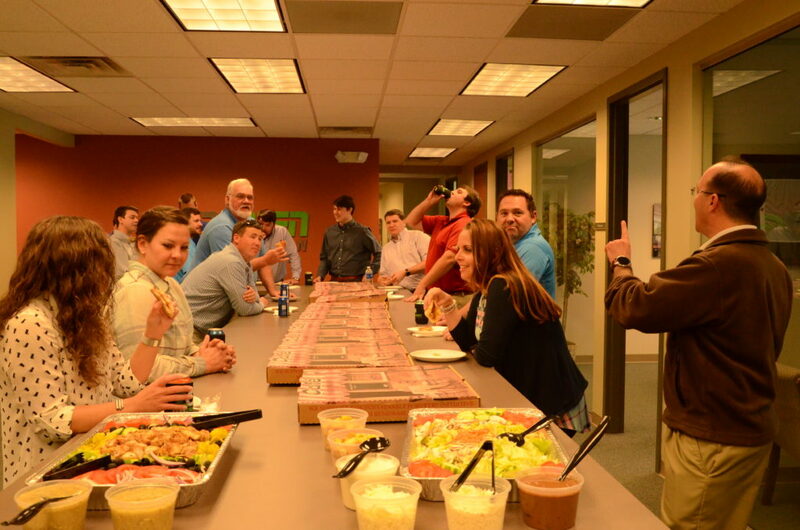 Whether its a chili cook-off or a golf tournament, we’re always managing to find ways to bridge work with socializing. One of our employees who holds the title of “honorary social chair,” puts it best, “ One of the things that makes Evergreen stand out, is their commitment to making the workplace feel more like a family than just a job. The Evergreen social events provide opportunities for every employee to build relationships outside of the office setting which pay dividends in our daily tasks.” Be sure to click around on our website for an even more in depth look at our culture.